A DSSAT International Training Program was held from March 19 through March 24, 2018 at Hôtel du Parc, Tunis, Tunisia. The workshop was financially sponsored by the Bundesanstalt für Geowissenschaften und Rohstoffe (BGR) in Hannover, Germany as part of the Coopération régionale pour une Gestion Durable des Ressources en Eau au Maghreb Project. The workshop was facilitated by Dr. H. Werner Müller (BGR) and the team of Dr. Ali Sahli of the Institut National Agronomique de Tunisie (INAT). Participants includes representatives from the Bureau of Planning and Hydraulic Equilibrium, General Directorate of Agricultural Production, Directorate General for the Management and Conservation of Agricultural Land, Office of State Lands, National Institute of Field Crops, Technical Center of Potato and Artichoke, Regional Commissariat for Agricultural Development – Kairouan Region, Research Center of Horticulture and Organic Agriculture, and INAT. 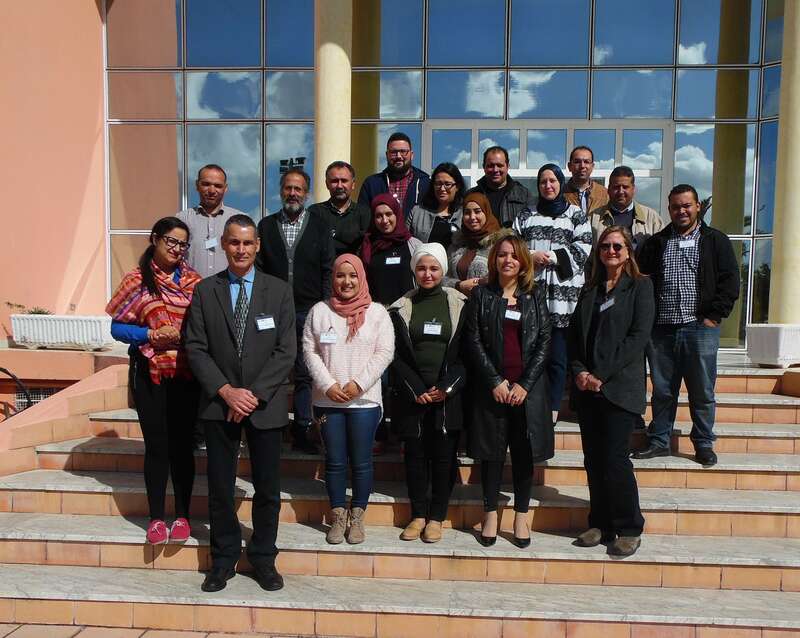 Dr. Ali Sahli is planning to organize future meetings to facilitate a new network of crop modelers and DSSAT users in Tunisia to help address local agricultural and resource management issues.